Scientists have discovered that while monstrous dinosaurs roamed the earth, the insect world contained its own fearsome creature – a ‘hell ant’ with a reinforced metal horn on its head. A number of extinct insects have been given the sinister ‘hell ant’ moniker – including the Haidomyrmex cerberus, which had curious L-shaped mandibles. 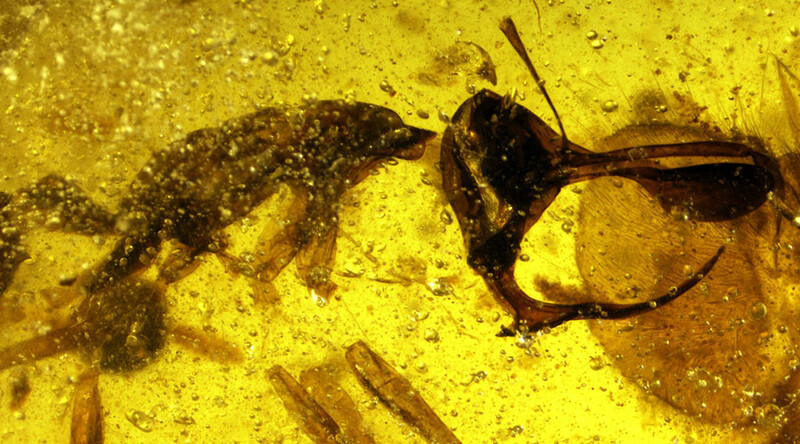 But researchers from the New Jersey Institute of Technology have revealed a new hair-raising creature found inside amber, dating back 99 million years. According to the study, the hell ant, known as Linguamyrmex vladi, hunted and defended itself in ways which differ dramatically from modern ants. 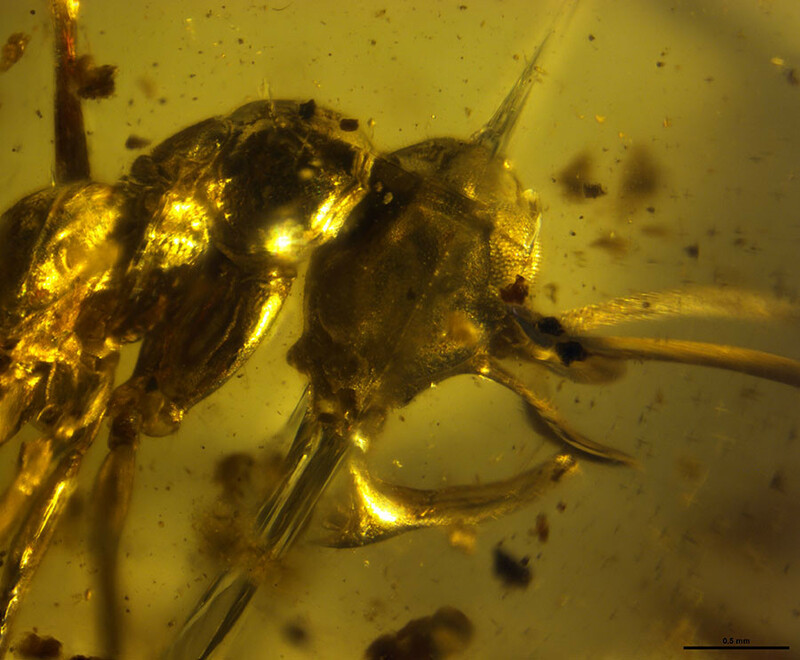 The insect, which turned up in amber mined in Myanmar, displayed rather terrifying ‘weaponry’ around its head. This included a clypeal horn, or paddle, probably reinforced by metals such as calcium, zinc and iron, usually held in the bodies of insects. Dr Phillip Barden, lead author of the study, told RT.com that the reinforcement of the horn would have stopped it from being damaged as the ant’s fast-snapping jaws slammed closed. “The paddle-horn does appear to contain either increased density or metal reinforcement, as suggested by X-ray imaging,” he said. The ferocious looking ant is likely to have died out during the Late Cretaceous and Paleocene period (K-Pg period). “The exact cause of their extinction is unknown, however it is interesting to note that hell ants are known from three fossil deposits worldwide – Myanmar, France and Canada, ranging in age from 99 to about 78 million years ago,” Barden added.